Do you dress up at your office for Halloween? While most companies have special events on that day – sweet treats, pot luck days or contests – not that many people seem to dress in costume for a day at the office. Now, I’m a geek and always get into the spirit. I think it’s fun to walk around the hallways in some kooky get up, and even more fun to conduct meetings and watch other folks try to keep a straight face and take you seriously. Dressing up and pretending to be someone else for a day is a blast. It’s about the thrill of it. When I became a parent, Halloween was new again. Then, it was about choosing the cutest costume for the boys: Tigger, a giraffe, a blue googly-eyed monster… basically, choose anything that made your heart melt. It was about spoiling them a little… about joy. This year was different though. This was the first year that both boys chose their own costumes. Mom didn’t make an executive decision. So, I went hunting for superhero stuff, expecting this to be another year of cuteness. It was something more though. 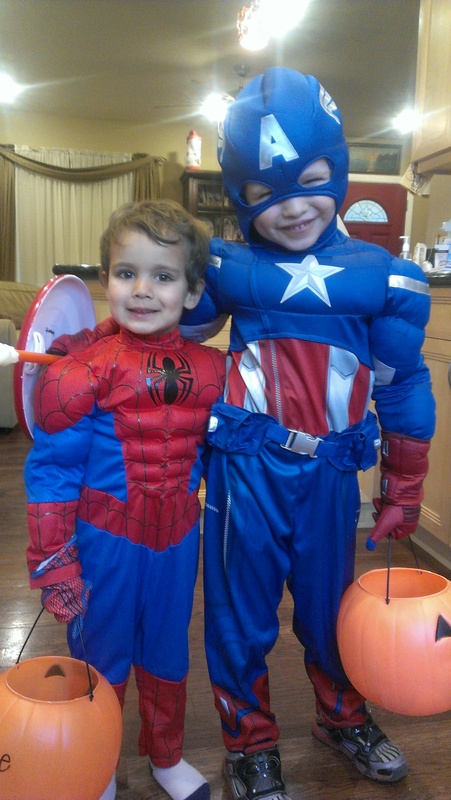 When the boys put on their costumes, Captain America and Spiderman began tearing around the house in heroics. They didn’t just act like superheroes though. They BECAME them. Now, my youngest son is full of bravado and wants to try everything on the way to any party or activity. But as soon as we arrive, he instantly gets shy, doesn’t want to go in or is scared to try. But when he was Spiderman, he was bolder. Braver. He tried new food, led the charge when we went out trick-or-treating, and led the parade at school. My son was brave all night long, instead of just in those fleeting moments before life happens. And as I watched him, it occurred to be that Halloween is not about pretending to be someone else for a day. Instead, perhaps it is about giving yourself permission to bring out a part of yourself that you keep hidden, are a little unsure of or are afraid that you’ll be judged for. Is the costume your Captain America shield, deflecting that fear and uncertainty? What is it about yourself that you are afraid to embrace 364 days of the year, but will gladly celebrate on that 365th day? Who do you think will really judge you? This year, I dressed as a powerful historic figure – a woman who took great risks, enjoyed great adventures and changed the world as we know it. I wore that costume proudly. So, why do I doubt myself other days? Should I be afraid of going out on a limb, being empowered or leading forward through uncharted territory? Facing considerable odds? Making tough decisions? No. Should I only be bold when wearing a disguise? No. 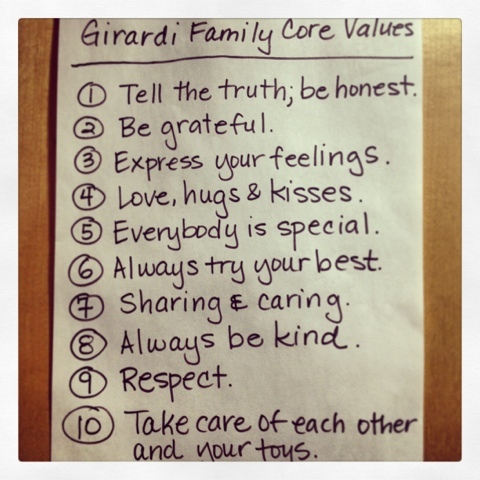 Tags: Bravery, Family, Fears, NaBloPoMo, Self-awareness | Permalink.